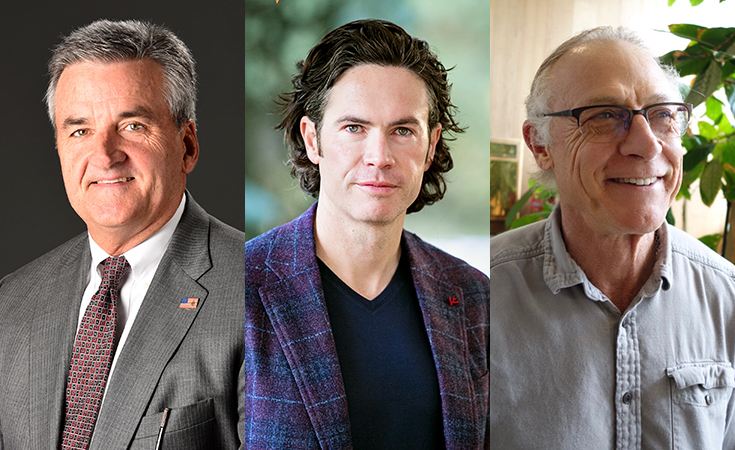 PROVIDENCE, R.I. — April 16, 2019 — At its 2019 commencement ceremonies, Johnson & Wales University will confer honorary doctorate degrees to seven individuals in recognition of their distinguished careers and positive influence on their industries and communities. 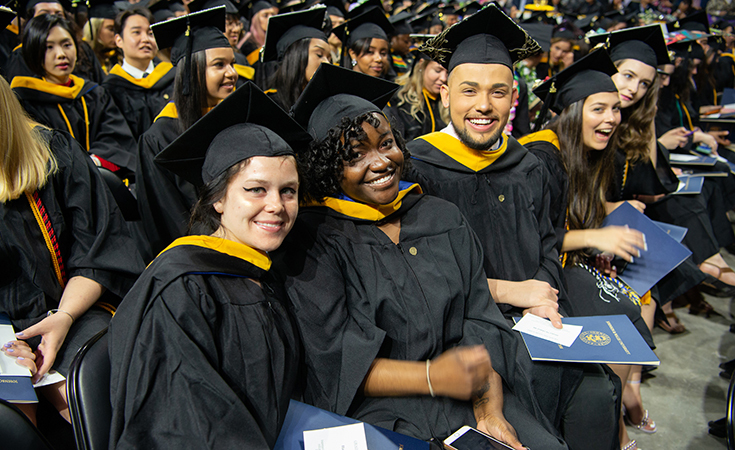 With four campuses across the U.S., ceremonies will be held in Providence, R.I., North Miami, Fla., Denver, Colo., and Charlotte, N.C. A total of 3,034 students nationwide will be awarded undergraduate and graduate degrees. Cynthia R. Bigelow, president and chief executive officer, Bigelow Tea, will deliver the keynote address at the Johnson & Wales University Providence Campus Graduate Studies Commencement Ceremony and receive an honorary Doctor of Business Administration on Friday, May 3, at the Dunkin' Donuts Center at 11 a.m.
Nigel Travis, chairman, Dunkin' Brands Inc., and chairman, Leyton Orient Football Club, will deliver the keynote address at the Johnson & Wales University Providence Campus Undergraduate Morning Commencement Ceremony and receive an honorary Doctor of Business Administration on Saturday, May 18, at the Dunkin' Donuts Center at 8:45 a.m.
Mehmet Gürs '93, chef-partner, Istanbul Food & Beverage Group, will deliver the keynote address at the Johnson & Wales University Providence Campus Undergraduate Afternoon Commencement Ceremony and receive an honorary Doctor of Culinary Arts on Saturday, May 18, at the Dunkin' Donuts Center at 1:45 p.m. 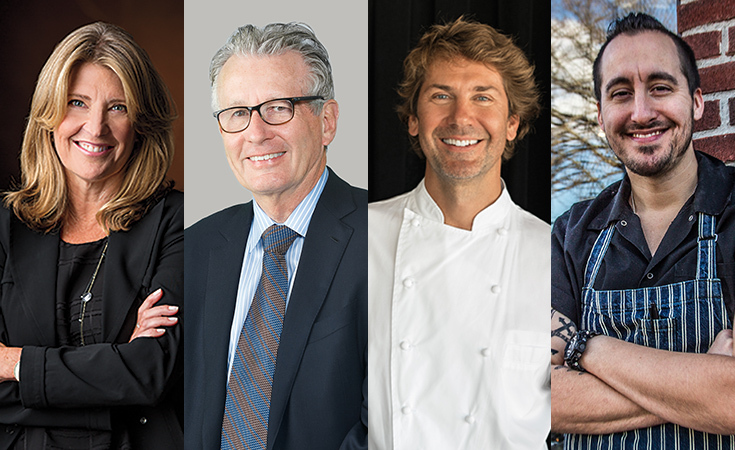 In addition, Derek Wagner '99, chef-owner, Nicks on Broadway, will receive an honorary Doctor of Culinary Arts. Dave Wilkinson, president and chief executive officer, Atlanta Police Foundation, will deliver the keynote address at the Johnson & Wales University North Miami Campus Commencement Ceremony and receive an honorary Doctor of Business Administration on Saturday, May 18, at 10 a.m. at the Greater Fort Lauderdale/Broward County Convention Center. Sean McNicholas, president, Service Systems Associates, will deliver the keynote address at the Johnson & Wales University Denver Campus Commencement Ceremony and receive an honorary Doctor of Business Administration on Saturday, May 18 at 10 a.m. at Boettcher Concert Hall, Denver Center for the Performing Arts. Gary Ward Guittard, president, Guittard Chocolate Company, will deliver the keynote address at the Johnson & Wales University Charlotte Campus Commencement Ceremony and receive an honorary Doctor of Business Administration on Saturday, May 18, at 10 a.m. at The Spectrum Center. JPEG headshots of each honorary degree recipient available upon request.